Alva House is shown, roofed, on the 1st edition of the OS 6-inch map (Perth and Clackmannan 1866, sheet cxxxiii). 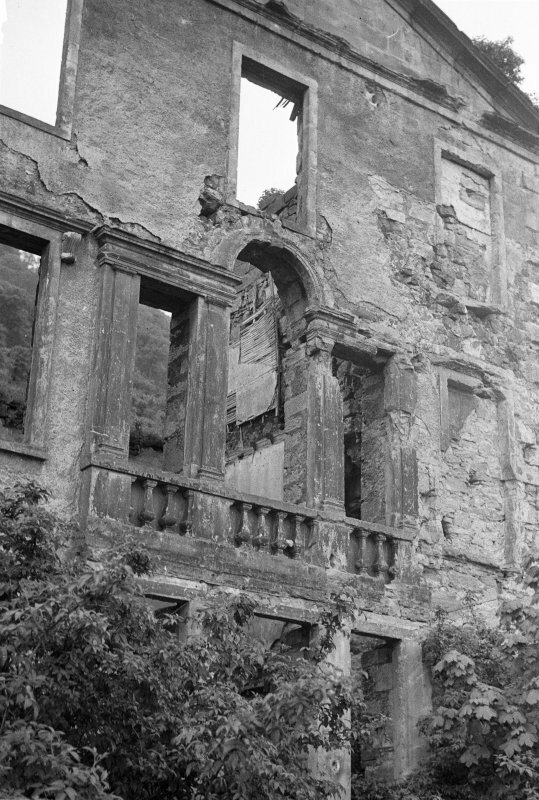 The house is depicted in a ruined state, with the N wall missing, on the current edition of the OS 1:10000 map (1979). Alva House has been demolished. Information taken from Demolitions catalogue held in RCAHMS library. Architect: Facade, Stables, Gates and Entrance Lodge - Robert Adam, 1789. Complete design was not carried out. have not been dated but the presence of coal suggests they are likely to date from the late 1600s or early 1700s.